RENO, NEVADA, January 29th, 2015 – Guy Johnson has been recognized as a Top Agent in Trulia’s (NYSE: TRLA) first annual ‘Best of Trulia’ list, which recognizes the highest rated agents using Trulia. The program honors agents with the highest ratings from past clients and helps consumers find and connect with top agents in their area. 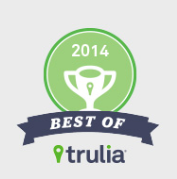 The Best of Trulia awards are based on number of client reviews, client ratings, and the number of buy-side or sell-side transactions that were completed in 2014 and added to an agent’s Trulia profile. Guy Johnson, a residential real estate agent with Keller Williams Group One, Inc. in Reno, Nevada, has been serving clients in Reno-Sparks, Nevada for nine years. A top-producing agent in the Reno market, Johnson was one of only 13 local agents to earn the honor. “I was very pleasantly surprised to learn of the award,” commented Johnson. “I have been leveraging Trulia’s extensive online reach for years to achieve maximum exposure for my home seller’s listings with great success,” explained Johnson. “It’s nice to be recognized for my marketing strategies and successful efforts,” he added. Trulia’s final list of Top Agents included agents from across the country, representing less than 2% of all agents with profiles on Trulia. In Reno, Nevada that amounted to only 13 of the roughly 2,700 licensed agents in the area — or less than 0.5%. “Though I am happy to have been selected as a Top Agent by Trulia, the real winners are my clients,” Johnson said. Guy Johnson is a licensed Nevada (NV # S.0075262) residential real estate agent since 2007. In his first year as an agent he was awarded “Rookie of the Year”, and he has excelled ever since. 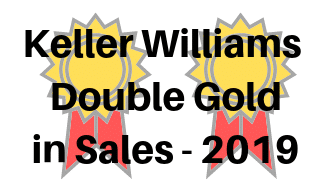 Today, as a top-producing agent with Keller Williams Group One, Inc., Guy Johnson has an experienced team to assist him in representing both buyers and sellers in Reno and Sparks, Nevada. In addition to serving his clients’ real estate needs, Guy Johnson mentors new agents, teaches seasoned agents, and writes for the award-winning Reno Realty Blog, the #1 real estate blog in Northern Nevada. He is also a member of the Board of Directors of the Council of Residential Specialists. Trulia (NYSE: TRLA) gives home buyers, sellers and real estate agents all the tools and valuable information they need to be successful in the home search process. Through its innovative mobile and web products, Trulia provides engaged home buyers and sellers essential information about the house, the neighborhood and the process while connecting them with the right agents. For agents, Trulia, together with its Market Leader subsidiary, provides an end-to-end system that enables them to find and serve clients, create lasting relationships and build their business. Founded in 2005, Trulia is headquartered in San Francisco with offices in New York, Denver and Seattle. Trulia and the Trulia marker logo are registered trademarks of Trulia, Inc.